At 12am, Windows 10 will become available. Read below for some quick thoughts. WHAT ARE OUR THOUGHTS ON WINDOWS 10? We have received numerous requests on whether one should install Windows 10. The short answer, is wait! Microsoft if allowing all Windows 7 and 8 users to download Windows 10 for free for the next year. So why be the first one to try it? WHAT’S THE WINDOWS 10 RESERVATION ALL ABOUT? If your computer did some Windows updates in the past month or so, you were asked if you would like to reserve your copy of Windows 10. What’s this all about? Since the Windows 10 update is free, Microsoft did not want their servers to crash at midnight when everyone attempts to download it. Therefore, by allowing everyone to reserve a copy, they will be able to space out the downloads over an estimated two weeks period. 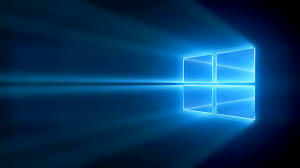 Therefore, by signing up for your free copy of Windows 10, just means you will be offered the opportunity to download Windows 10 based on the time you signed up for it. What’s Windows 10 all about? Windows 10 in a nutshell can be referred to as a combination of Windows 7 and 8 combined. There were some features which Microsoft took out in Windows 8, and attempted to half put back in Windows 8.1 which will be fully put back in Windows 10. Microsoft overall claim is that Windows 10 will be more secure and easier to use. The final verdict will be known in the coming days, once the completed Windows 10 is released to the public. The installation is an in-place-upgrade. This means you will not lose your data when you do the upgrade. There is a 30 day roll back option. This allows you the option to roll back to whichever version of Windows you previously had. Stay tuned for an update in the coming weeks once the final version is released and we can properly test Windows 10!